Within 100 mile radius of the office. SC048438 Ofsted audits all adoption agencies as it does schools and nurseries. Click the link to view the latest Ofsted reports for this agency. 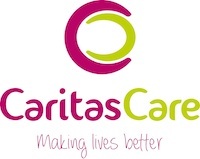 Caritas Care is a long established, specialist Voluntary Adoption Agency with 80 years experience in finding families for children. We have offices across the North West, (Preston, Carlisle, Manchester, Salford and Warrington), and was Judged as ‘outstanding’ by Ofsted in 2014. We understand that enquiring about adoption can be a big step. We would therefore like to reassure you that we respond to every enquiry in a friendly, open and supportive way. As an Agency we are committed to finding permanent homes for the increasing numbers of children awaiting adoption in the UK. We recognise that all children are individual and unique; therefore we welcome enquiries from potential adopters from a range of different backgrounds, to meet the needs of children of all ages. The children who wait the longest are over 4 years of age or part of a sibling group, from a different cultural heritage, or have a disability. We make a long term commitment to our families, from your initial enquiry, throughout your assessment to the placement of children, their adoption and beyond. Our commitment to you as adopters and your children is life long and our aim is to provide the best support possible to you and your family, as and when required. We deliver a wide range of services, training and on-going support, as well as social events and opportunities to meet other adopters. work with families in identifying and addressing the support requirements of children, and in clarifying their future needs. ensure the support needs of adopted children are recognised, acknowledged and met by linking with our partners in education and health services. provide adoptive families with greater insight and assurance that their child’s needs will be met with through our extensive support resources. As well as offering a traditional adoption service and adoption support, we are excited to be offering alternative ways to adopt including Fostering to Adopt and Concurrent Planning through our new initiative. Our Salford Office is the base for the North West Concurrent Planning Service which we run in partnership with Adoption Matters. Here, our specialist team can help you to explore whether this type of placement is right for you. Concurrent Planning is for babies and young children under 2 in care who are likely to need adoption, but who still have a chance of being reunited with their birth family. Concurrent carers perform the role of foster carer while the courts decide whether or not a child can return to its birth family. During this time the children will need to see their parents regularly and the concurrent carers will need to support the birth family’s efforts to regain the care for their child. If the courts decide that the birth parents have shown they can be reliable, able and loving parents, the babies will be returned to their care. The concurrent carers will have the satisfaction of knowing that they have given these children the best possible start in life by providing care and security from the earliest time, and will help them settle back into their family. However, if the courts decide that the child’s parents cannot provide the security and care they need, and there are no alternative carers from within the birth family, the child will remain with their concurrent carer/s and be adopted by them. it prevents delay and supports effective planning for their future. it will avoid the stressful upheaval for the child when moving from their foster home to a new adoptive family. the bonding process with their adoptive parents begins from the point of placement. their adoptive parents will have had the opportunity to get to know their child’s parents and will be in a good position to understand their background and struggles, which will be helpful for them and their adopted child in the future. It is likely that many concurrent carers will go on to adopt the children they have cared for and helped through the early, unsettling months when their plans were still uncertain. However, the decision whether or not to return the child to its birth family is made by the court, and, as a concurrent carer you would need to be able to deal with the uncertainty of this. Social workers and other professionals involved in concurrent planning provide specialist preparation and support for concurrent carers and again we are there alongside you every step of the way.